She was a single woman and the mother of Ann Bowen Dee. 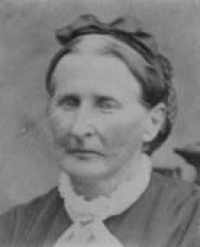 After the death of their mother, Hannah was given charge of Joseph and Hyrum Giles. She later married their father, Thomas Giles, known as "The Blind Harpist," who traveled with the Bunker handcart company in 1856. 1841 England and Wales Census. Journal History of The Church of Jesus Christ of Latter-day Saints, 15 December 1856, 13. "Sudden death," Territorial Enquirer , 28 June 1887.